After a year off in 2016 I was determined to “get on” with Minnie’s trip around Britain. 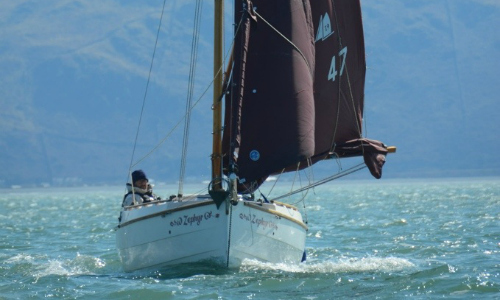 The first problem was my crew of previous years was not available and given that the journey down the west coast would include several lengthy passages, generally overnight, only an experienced crew would do. 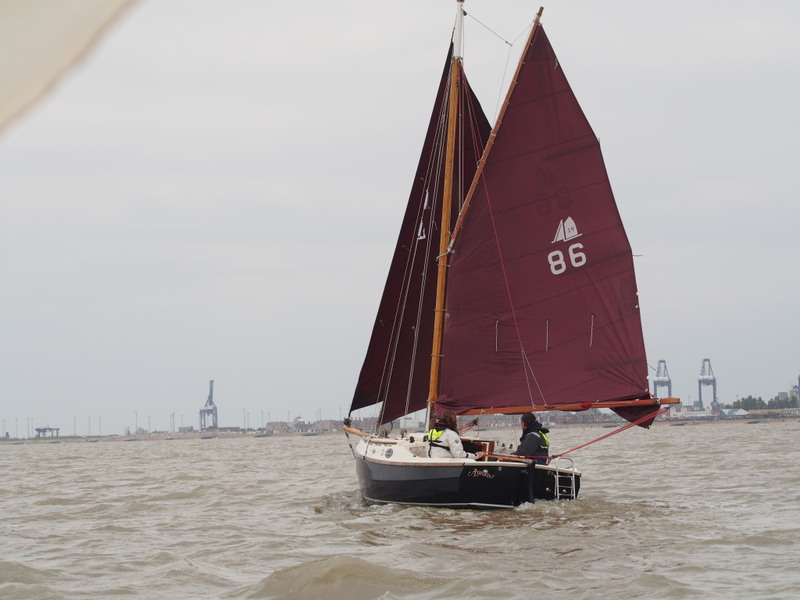 An appeal on the CC19 Forum and some help from Dennis put me in touch with Mark Donnelly, a CC19 owner and after a meet up and brief sail on the Orwell we were set. 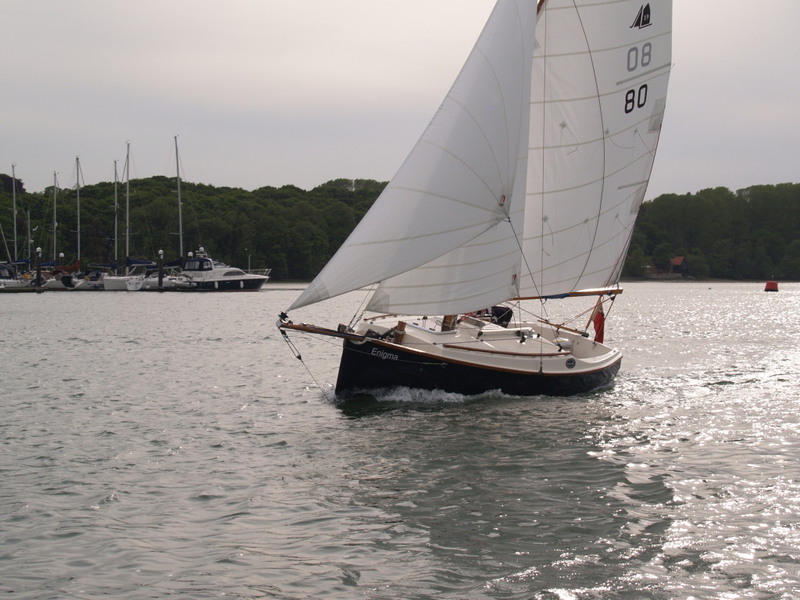 Mark had only owned his CC19 for a year and most of his sailing had been river based, however he had plenty of racing experience both offshore in yachts and inshore in dinghies. Being a racing man Mark likes to get there fast, as a cruising man I want to be sure we’ll get there. 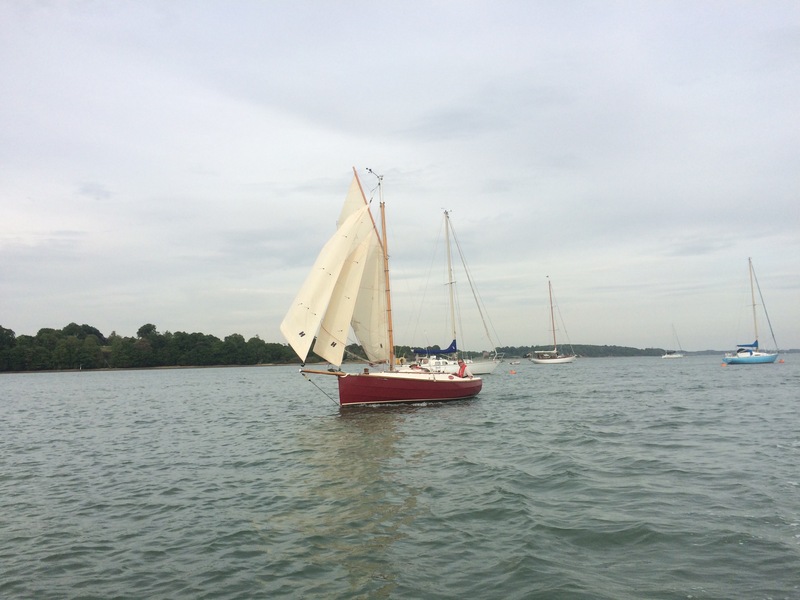 At the end of our 3 week voyage I’d learnt lots about sail trim, Minnie was sailing faster than ever before…..and we got there. So a big thankyou to Mark. The second problem was logistics. 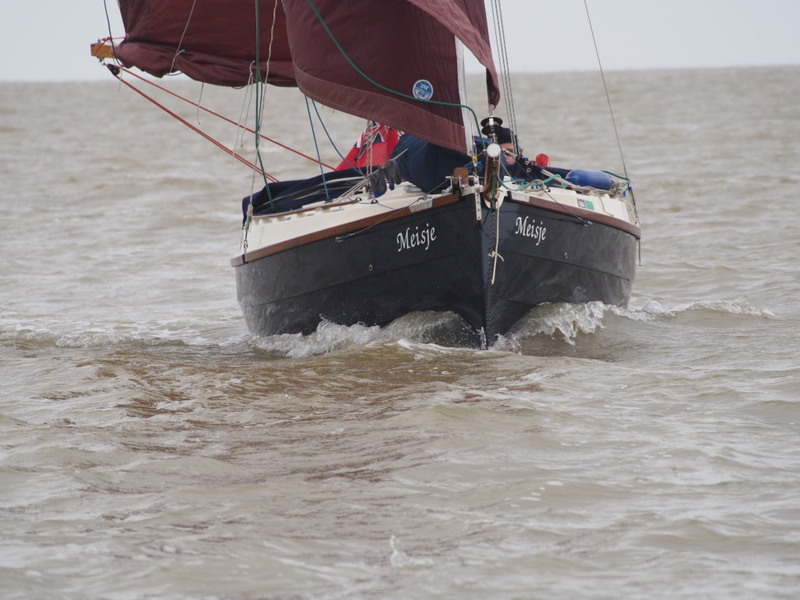 Minnie near Harwich, start point Troon, finish point somewhere in the West Country. The solution was number one son James, who lives just north of Oxford. We trailed Minnie to Troon one Saturday morning, met up with Mark, launched Minnie and James was back home the same evening. So thank you James. 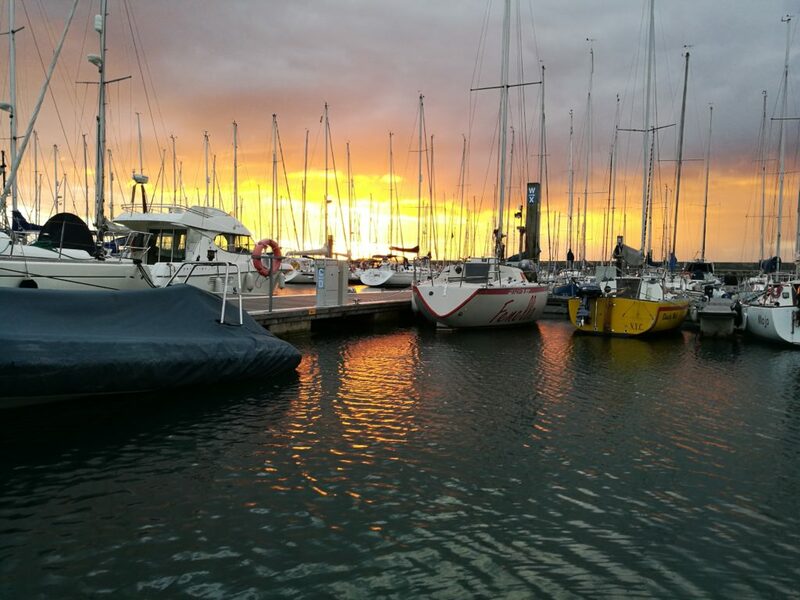 Troon is a great marina. The slipway is wide with a good slope, and there’s plenty of parking for cars / trailers. The staff are very helpful, there’s a nice bistro style restaurant on site and a supermarket less than half a mile away. 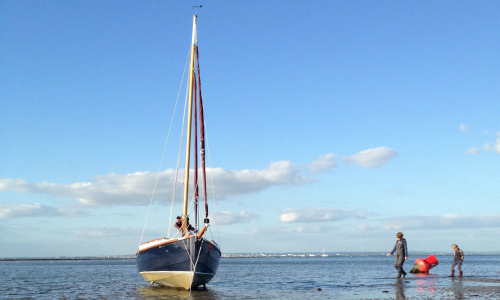 Having got James packed up and safely away on his journey home, we set to rigging and checking the boat before the continuing adventure began in earnest. Satisfied that all was ready we retired to the harbour bar restaurant with charts and other books to discuss the next few days. Judging by the dressed up number of locals visiting the restaurant we were in for a treat. We were not disappointed. A pleasant evening was spent eat, drinking and talking all things nautical. 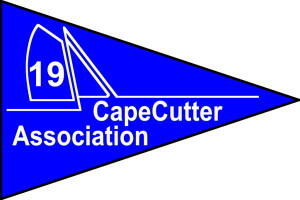 The forecast did not look great for the next few days wind “on da nose”, sea state frisky and the visibility poor. 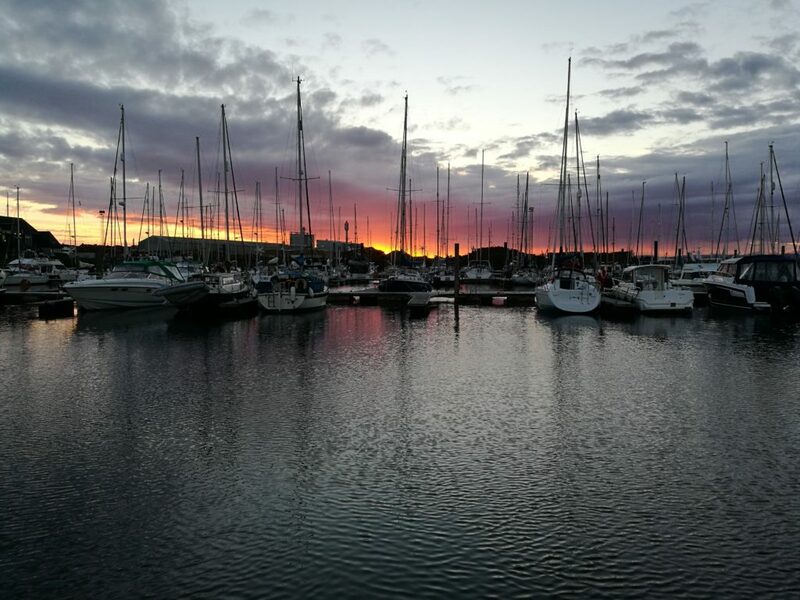 However we were treated to a magnificent sunset, captured by Mark with his fancy new phone. We toyed with the idea of heading straight for Ireland, via Campbeltown, but finally settled on Girvan about 20 miles south west of Troon. Leaving harbour at 08.00 to catch the South going tide, wind SW 4/6 sea state moderate. 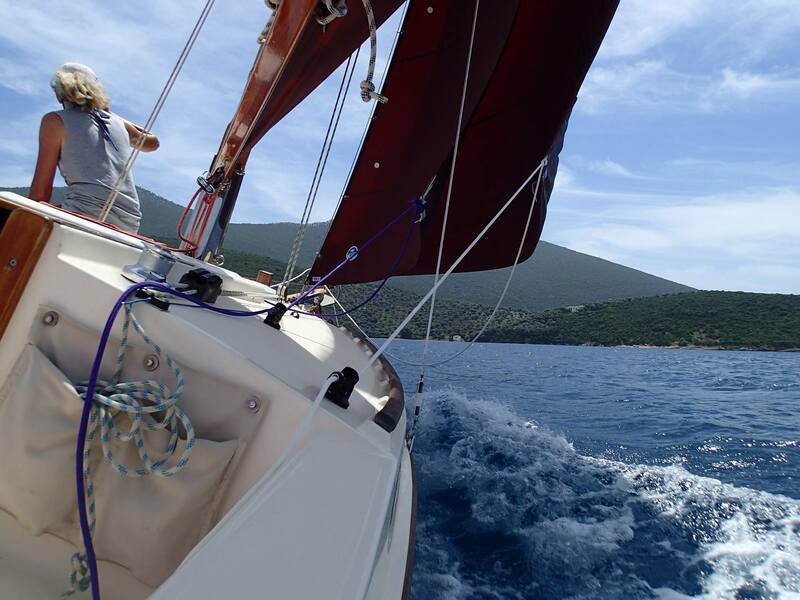 We motored then motor sailed with two reefs and stay sail. 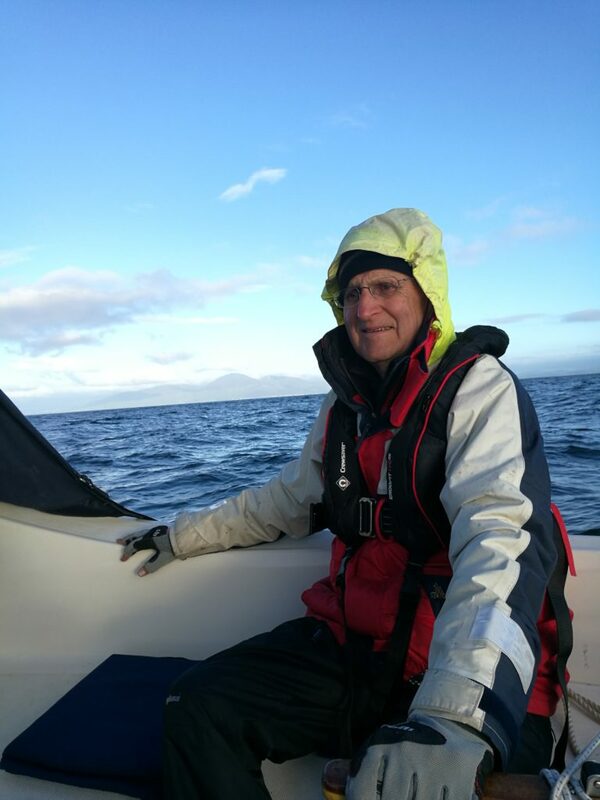 At 10.00 we cut the motor and beat for three hours or so, then motor sailed and finally motored into Girvan. 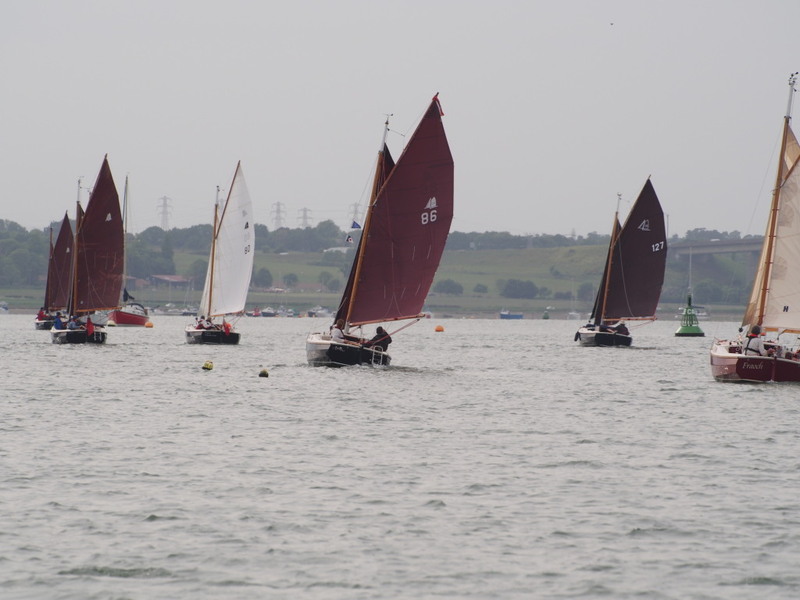 Altogether a pretty grim first day; wet, cold and not much sailing. 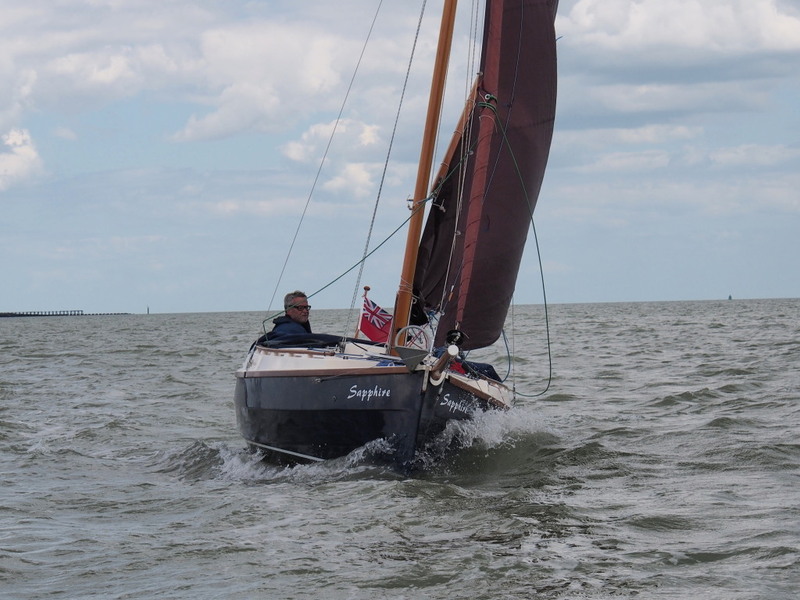 The liberal use of Stugeron and ginger nut biscuits kept us the right side of seasick. We later discovered Lemon and Ginger tea, which may or may not have helped settle the tummy, but was a pleasant alternative brew. 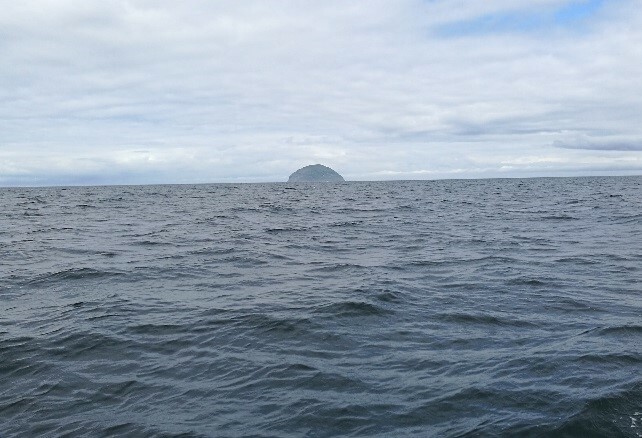 Ailsa Craig is large volcanic rock in the middle of the channel, south of Arran. It dominated the skyline for several hours and never seemed to pass. 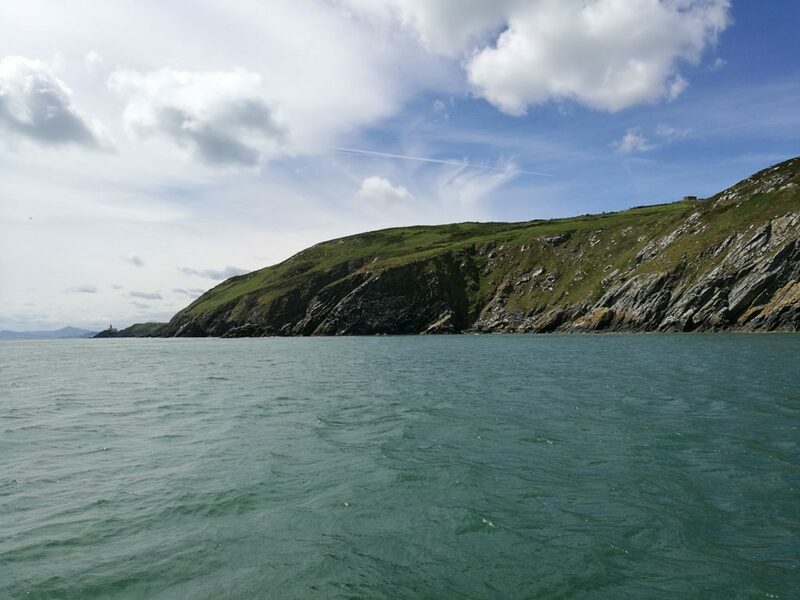 It is the source of two type of granite, Blue Hone and Ailsa Craig Common Green, the traditional granites used in the manufacture of Curling stones. 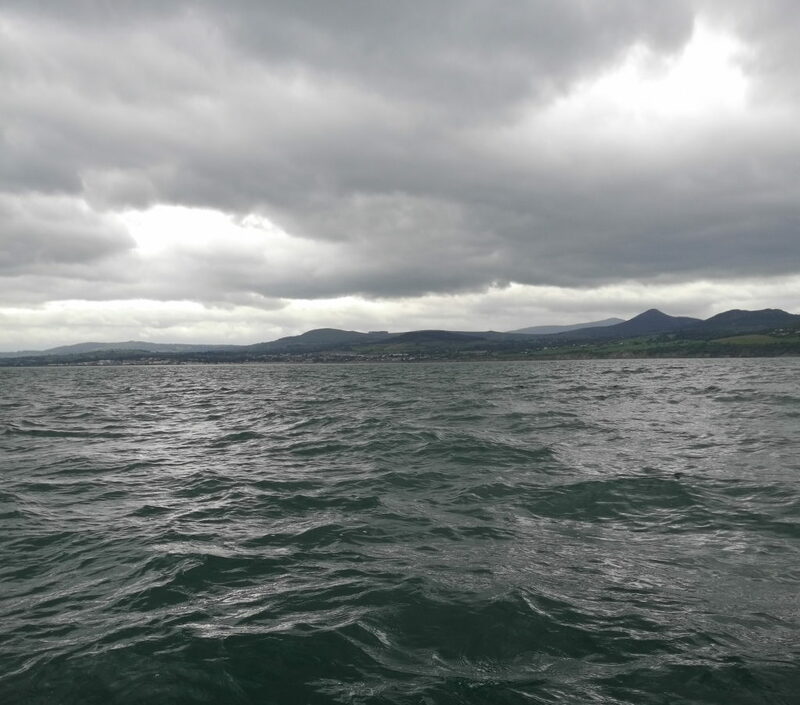 There was a lumpy sea and quite a tide pushing us along as we approached the entrance to Girvan harbour. With some rocks either side of the entrance we didn’t want to get it wrong, or indeed get pushed passed and have to fight the tide to get back. Fortunately the trusted Honda did her job and we bobbed our way in with relative ease. The entrance itself is quite tight but once inside the protection of the sea wall things looked much better. A quick right turn out of the river and we were into the marina. 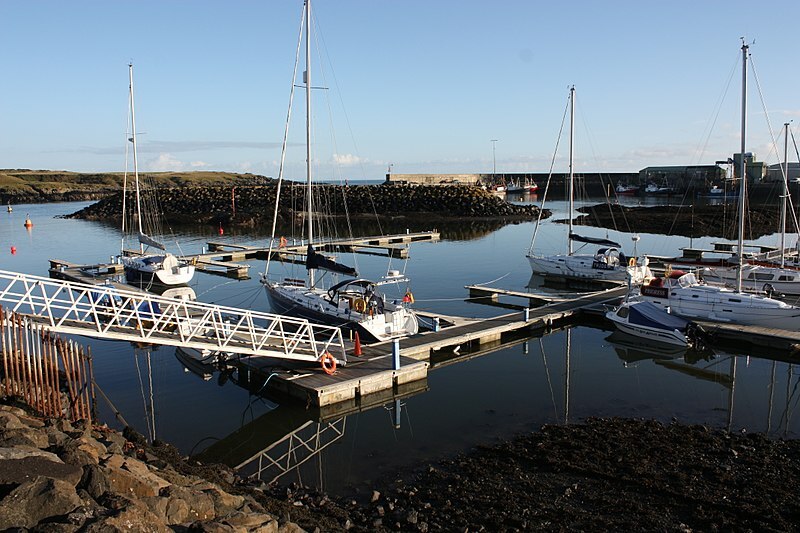 I’d seen online that Girvan had new pontoons and welcomed Yachts. Well, we found the pontoons excellent, got the pass code from another boat owner and went looking for the facilities, which proved to be like the quest for the Holy Grail. We were unable to locate a harbour master or access the showers so retired to one of the several pubs within a short walk of the marina. A good hearty broth followed by a steak supper soon lifted our spirits. It was apparent that we were both into our food and dining was going to be an important feature of the trip. The barmaid, with an interesting accent somewhere between Glasgow and Cracow, guided us to the local service station to gather fuel for Minnie. The next day, we again failed to raise the HM, but did find the newly opened swimming pool. It opens early for pre work swimmers, so showers and bacon sandwiches all round. What a good start to the day which was topped off by the purchase of home-made rolls and cakes from the pools cafeteria. That was lunch sorted too. 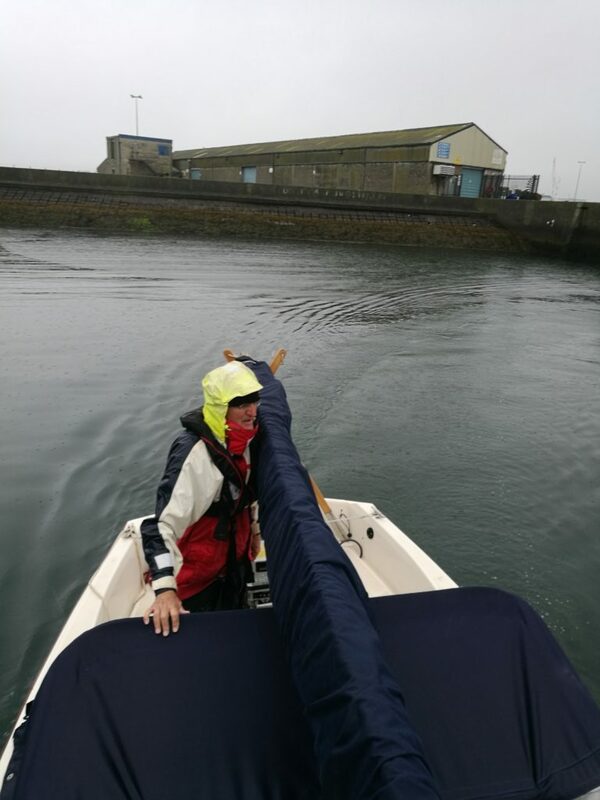 Having been gently roughed up the day before and with a gale forecast for Tuesday we headed out at 09.00 and effectively motored all the way to Port Patrick. We thought we may have to dry out in the inner harbour and radioed the HM for details….no luck and it turned out they didn’t have one. However we did phoned Robert, a retired RNLI Coxwain (details in the Almanac) and received great support and advice. 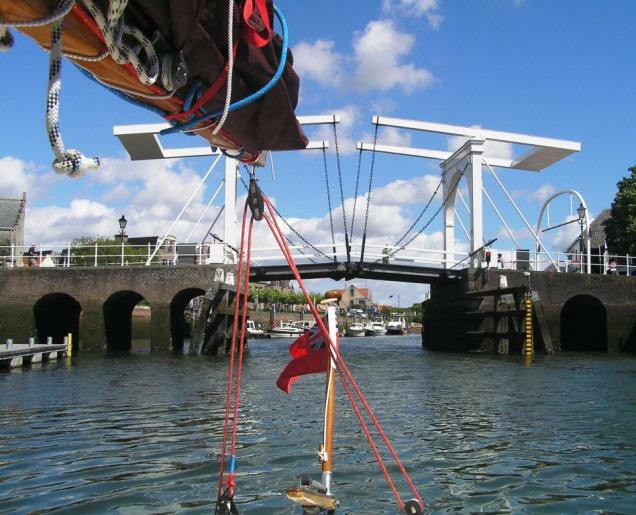 We moored against the rough stone harbour wall where large fenders were mounted either side of the access ladders. We were there for an extra day whilst the gale went through (well sheltered). 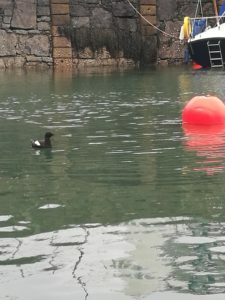 Quite rare Black Guillimots were nesting in the harbour wall about a metre from our stern. 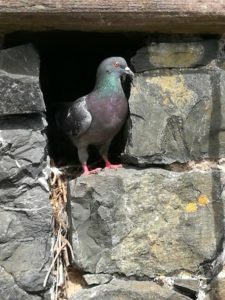 We also had the company of a pair of nesting Pigeons. Who, much to their annoyance, moved from way above us to appear by our sides as the tide rose. There was no petrol available locally so Robert kindly sorted us out with 10 litres of petrol from his trip to Stranraer. We showered and had an excellent meal in the local ‘Harbour House Hotel’ (owned by Robert, who was definitely promoting and maintaining the friendly little harbour town). Note…. definitely look him up again if up this way. On Wed morning the sea state was rough, particularly at the entrance. A chat with Robert resulted in a delayed start to 12.20, when as he predicted, the sea state eased. Plan ‘A’ was to head for Donaghadee. 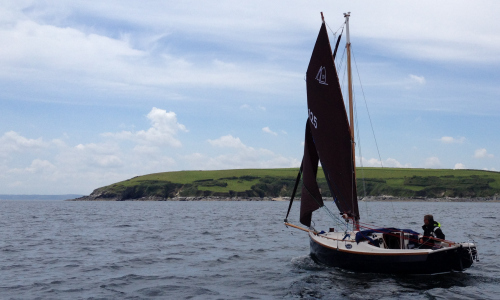 We headed out of the sheltered harbour with 2 reefs and staysail. 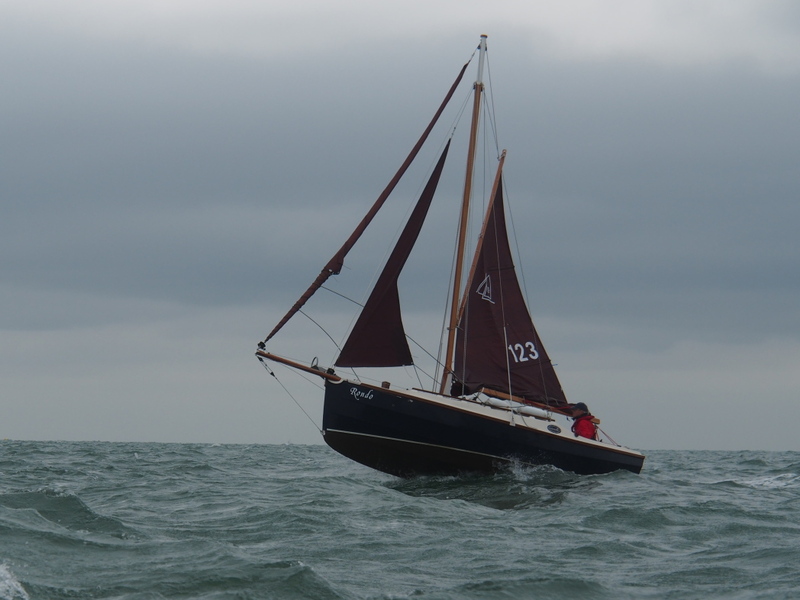 Once clear of the shore we soon had full sails set with NW f4 and all looked fine. At 15.00 the NW veered E then SE then died. Back to the iron topsail. 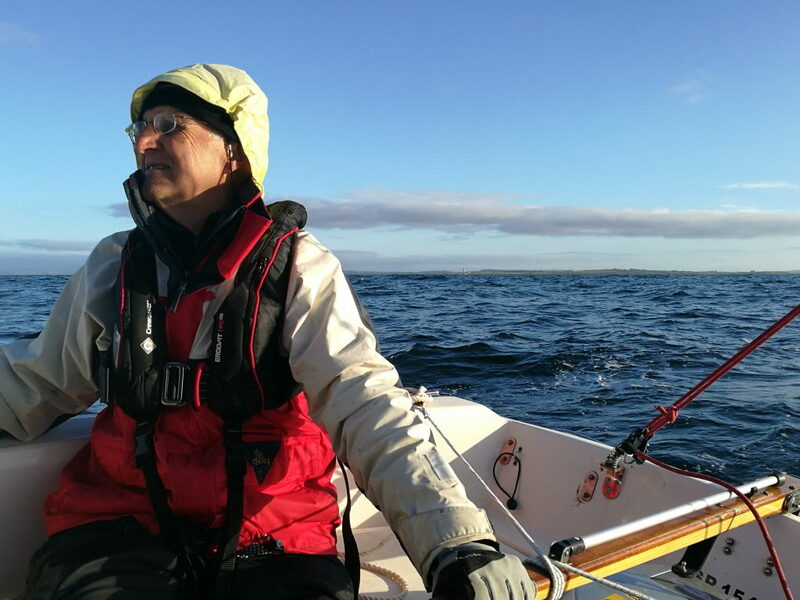 At 18.00 the wind increased to f3/4, so we hoisted full sails and decided to head for Ardglass. Although a further 20 miles or so it offered a much kinder wind angle. At 19.00 the wind veered south and strengthened. 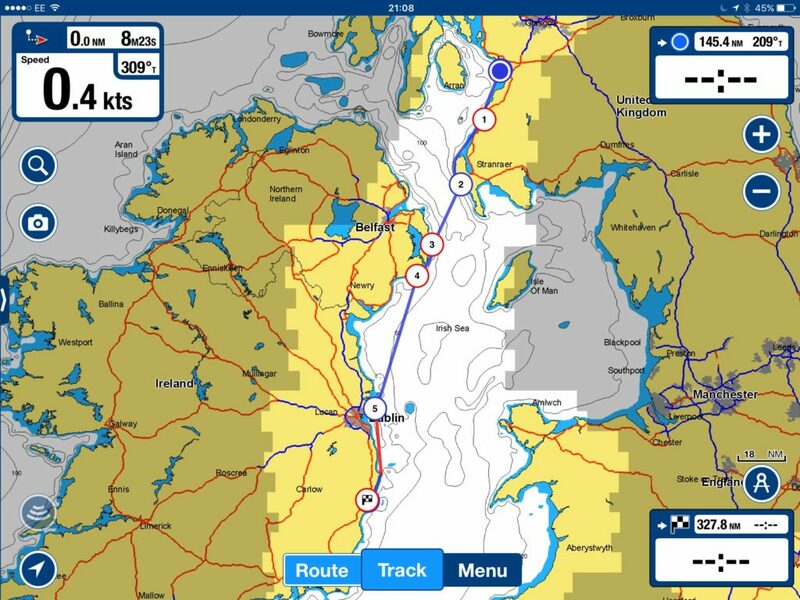 The sea state deteriorated so we decide to head for our alternative port ‘Portavogie’….about two hours away. 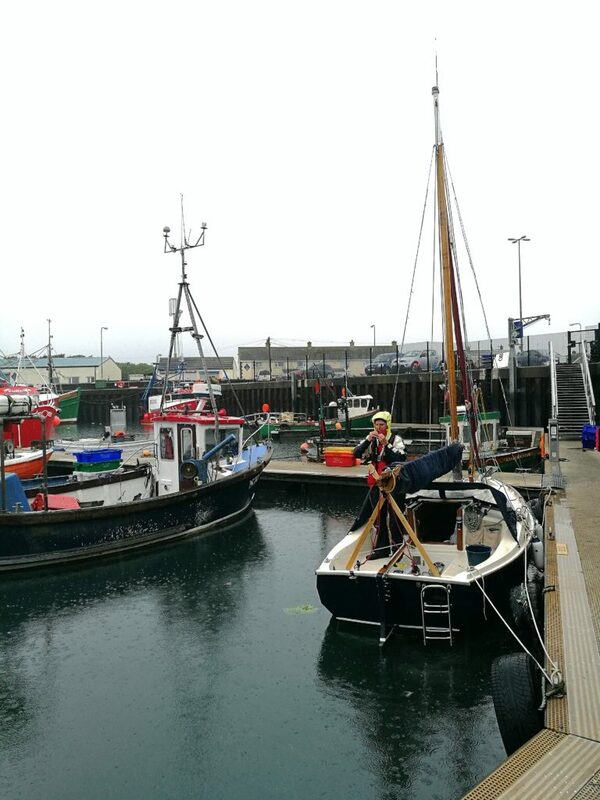 Reeds Almanac note on Portavogie: Good shelter, but harbour so full of Fishing Vessels as to risk damage. We entered harbour without issue to be faced with an enormous bull seal, fishing’s obviously good adjacent to the fish processing plant. Creeping through a series of inner harbours the commercial vessels got progressively smaller and less intimidating for our 19ft lady. We spotted an empty berth and moored up next to a prawner which appeared deserted. By this time it was dark, raining and cold, so we were surprised when three smiling guys wearing shorts and tee-shirts emerged from the adjacent vessel. It turned out they were from Kerala, having left the Indian Merchant Navy and arrived only a month ago to work in the Northern Ireland prawn fishing industry. On this dank evening I couldn’t help wandering if this was the wisest of choices they had made. We felt quite soft in all our wet weather gear and they in summer shorts. 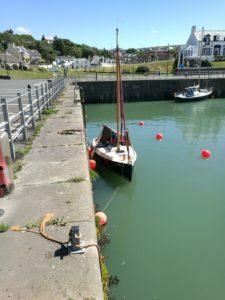 After a short look at our boat and general bemusement that we were out in her for fun, they told us that they thought our berth holder had his boat on the hard for a scrub, but would be back later. I wandered round to the security gate found some rag to jamb it open and walked through….the voice said “you’ve done that before, haven’t you”. Two fishermen sat in a van laughing, told me the code, where the showers were and which was the best berth to move into. So, as advised we re-positioned to a safer birth. 5 litres of petrol and a couple of hot pasties from the all night garage and we were off to bed. 08.30 Muesli, fresh coffee from the garage and off we went. The boys from Kerala were long gone. Clearly the cold, wet, Northern Irish weather didn’t bother them. 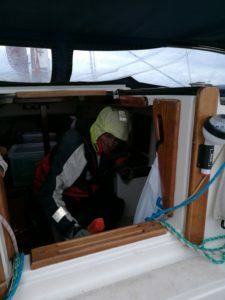 There was no wind and it was pouring with rain so we motored south. It improved slightly through the morning and eventually stopped raining but the ‘no wind’ continued. It did mean we managed a brew on route. It’s amazing how a hot drink keeps you going. On our arrival the sun even managed an appearance, which was nice. 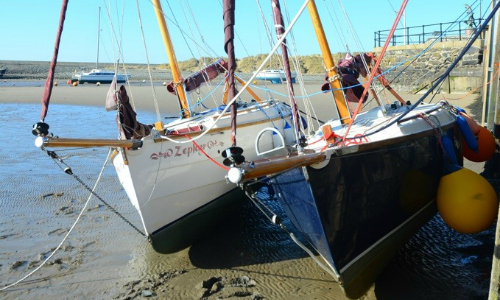 We had to watch the entrance carefully as the tide was out and there wasn’t much room to manoeuvre. Thank goodness Minnie has a short draft and we managed to moor up without any mishaps. 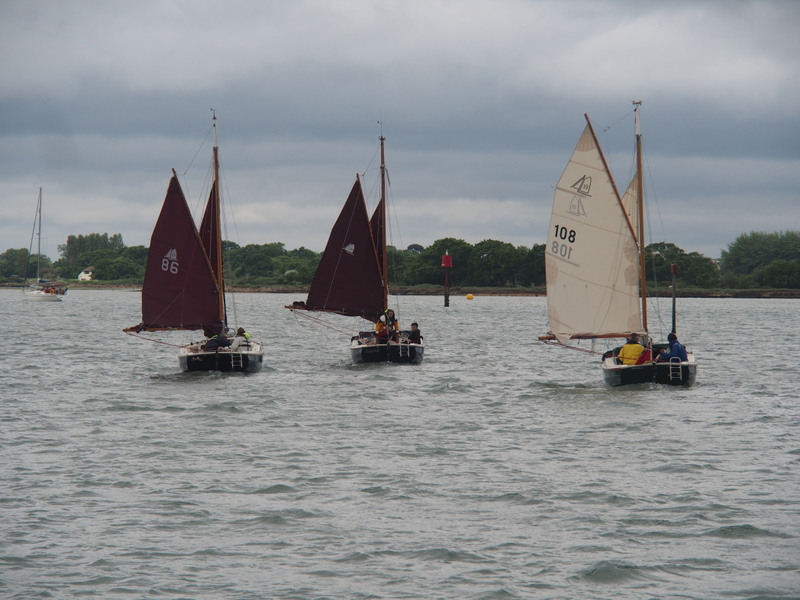 Unlike a sports boat which clumsily bumped its way in ahead of us. 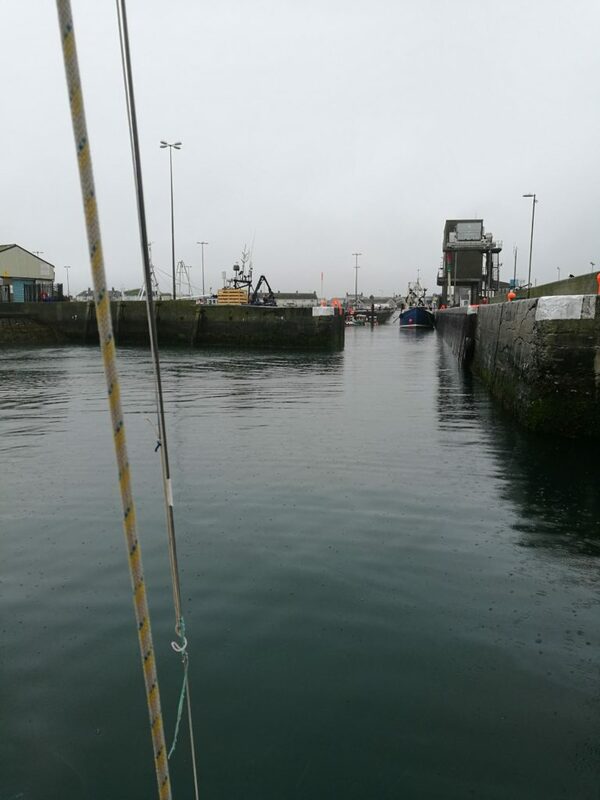 12.30 Arrived at Ardglass, plenty of berths. Petrol and supermarket 5 minutes’ walk. 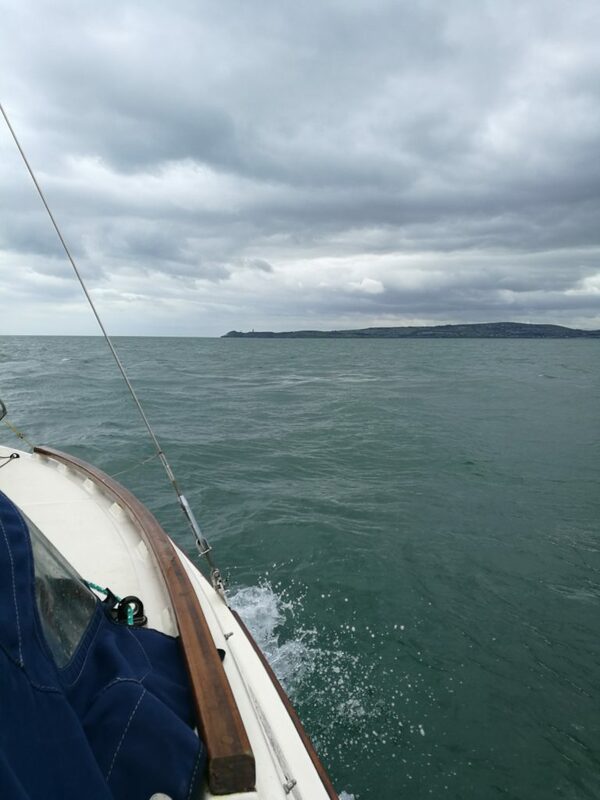 There were four or five boats due to head south the following day, heading for Howth. 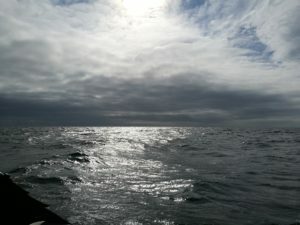 Several discussions on the weather forecast suggested that tomorrow was the last sailing day for a while as “storms were a coming”. 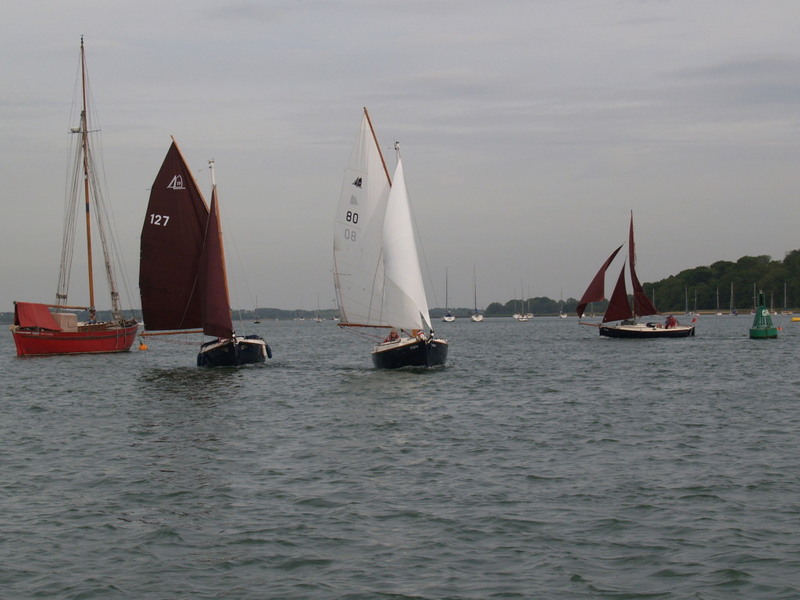 Three of these boats were over 60ft and 54 miles into a headwind was a fun days sailing for them. For us it was going to be tough. 06.00 Start, two reefs, to full sail, to one reef. 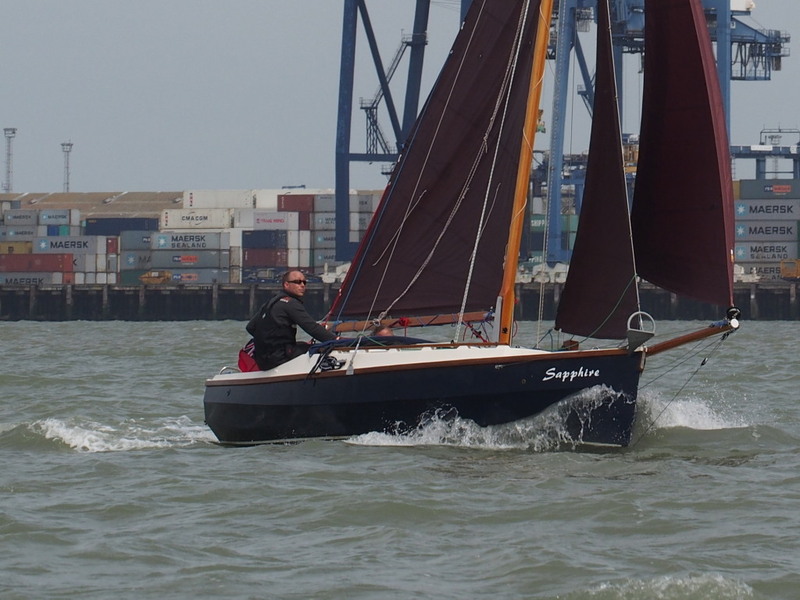 Then mainly motor sailing as wind direction demanded beating and we just didn’t have the time. 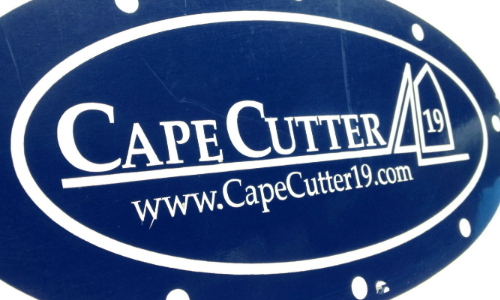 A couple of the large yachts sailed passed us, but were 20 degrees off the direct heading. 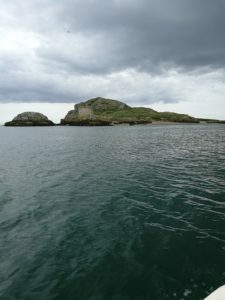 Highlights were cuppa soups, cheese and bacon butties, soda bread scones, and many puffins and guillemots. We were treated to fantastic acrobatic displays as they swooped and dived in from great heights to catch fish. 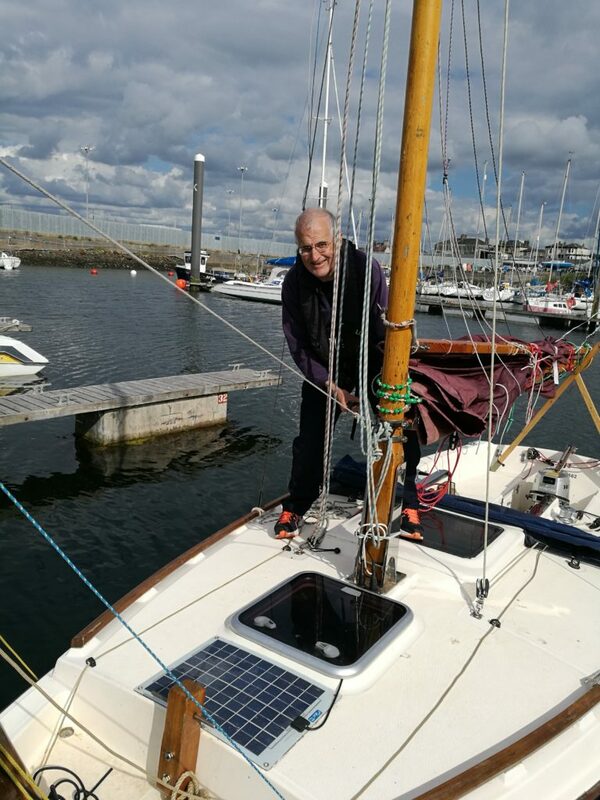 18.30 Arrived at Howth, packed with boats but room for a “little un” in a sheltered spot on the inner side of the pontoons close to facilities. Being compact has its benefits. Two days R&R and just a train ride from Dublin. The first night the storm hit and gave the tent a good workout, strong winds and very heavy rain; all dry inside. The nice sun rise the following morning didn’t reflect the wind conditions. There was a group going to the pub for breakfast to watch the Lions rugby. It would have been rude not to join them, so we did our duty and had a pleasant breakfast sportsfest….excellent all round, Rugby, a fry up and bottomless coffee pot. High winds kept us in port. So a short trip on the train into Dublin to see the tourist masses being determinedly cheerful and/or drunk. 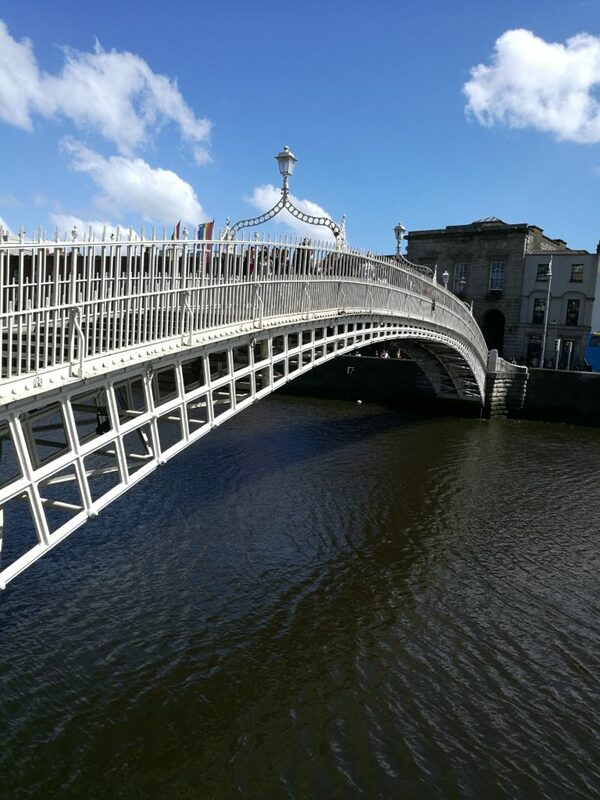 A little tired from our travels, we bucked the trend and opted for an alcohol free lunch in one of the local independent coffee shops overlooking the ‘Liffey’. We still enjoyed the sounds of Irish music wafting over from a band playing in the pub a few doors up. This more than satisfied our desire to be immersed in the local culture. After an interesting day being tourists we trekked home. Another walk, 6 mile to collect 16 litres of petrol. Not as onerous as it sounded, it was a pleasant walk through the town out and along the peninsular road where some windsurfers were enjoying the breeze in the shallows. Having fuelled up Minnie, we took an other hike. This time to the top of the hill overlooking Dublin Bay via a rather disreputable car park. Clearly good shopping for cannabis and loose women. Suitably shocked we forged on to the summit and were rewarded by spectacular views over the bay. Unfortunately the weather was closing in. Rather than suffer another soaking, we did the honourable thing, and followed some local ramblers into the nearest pub for some refreshments. These pub lunches were in danger of becoming a habit. After a couple of days waiting for the winds to improve we were getting a little stir crazy, and starting to worry how we were going to get back to Britain. The forecast was southerly wind for several days. 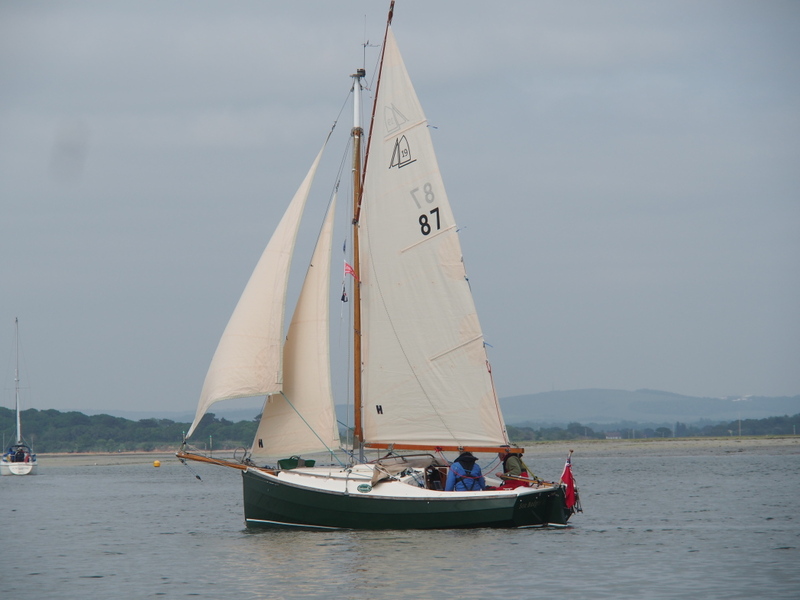 We envisaged creeping along inshore with the wind on our nose to get to Rosslare. Then having to wait for a window to cross to Milford Haven. The long term forecast wasn’t looking favourable. Things are never what they seem. 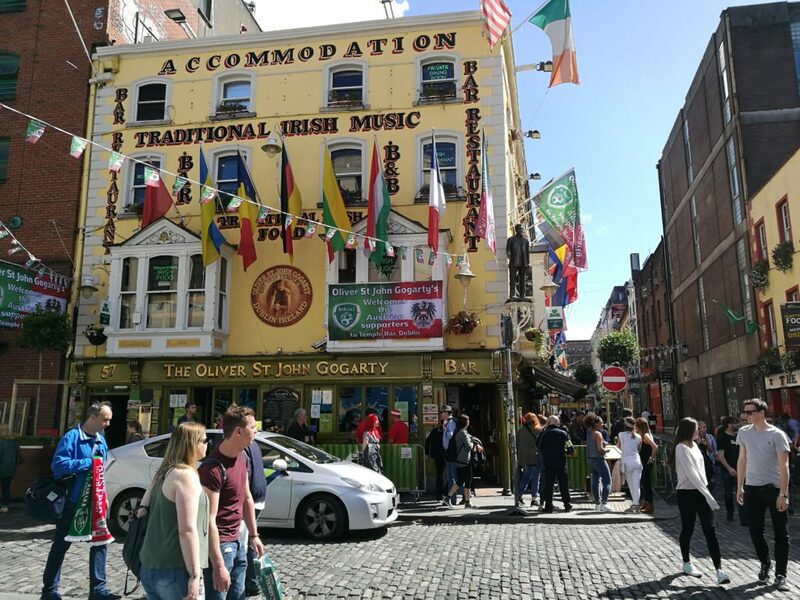 We talked to the locals, which in Ireland is a national pastime. 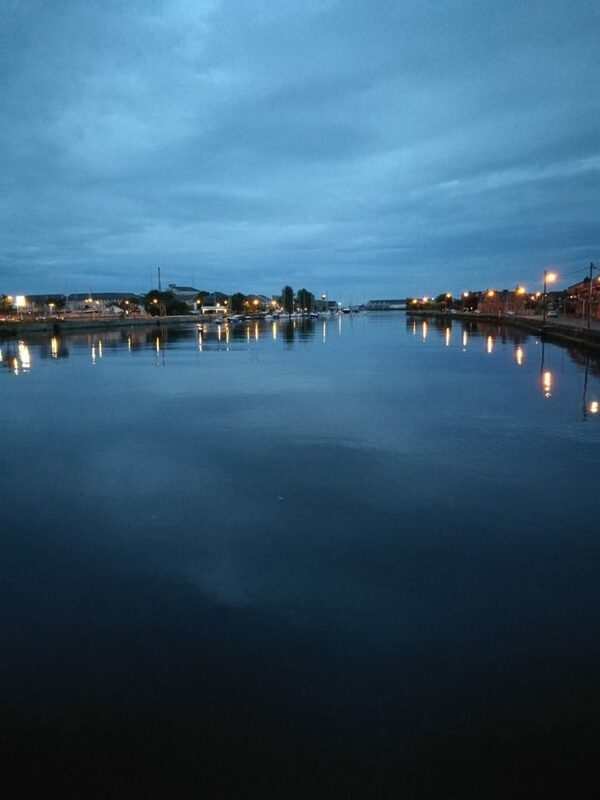 Got good advice on start times, tidal flows, and berths in Arklow. Another cuppa, some splendid local fruit cake we were ready. The sun was out and the wind had dropped appreciably. 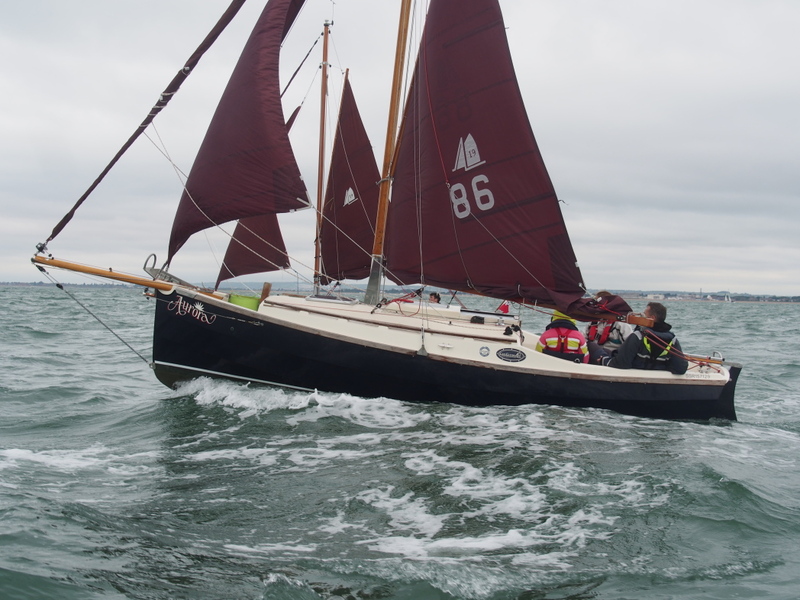 11.30 Departed Howth under motor out and crossed Dublin Harbour Entrance. 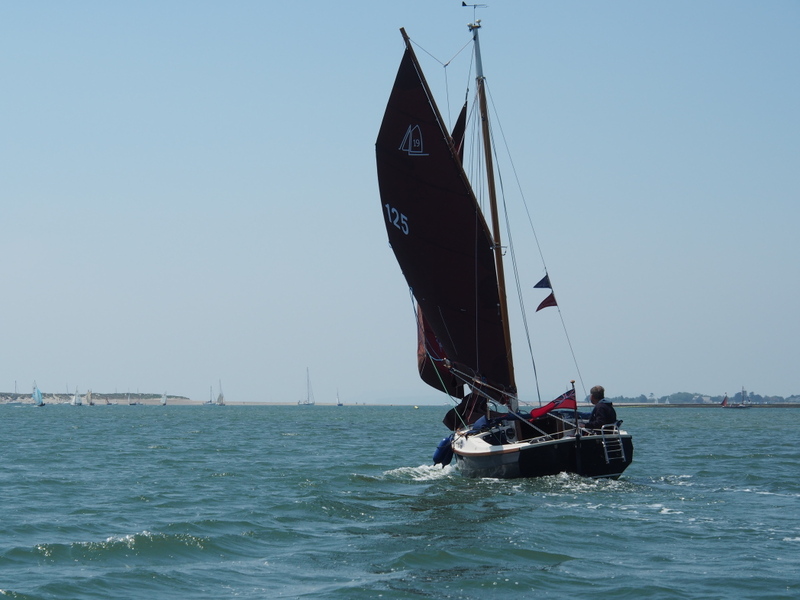 It wasn’t long before the wind angle changed slightly in our favour which raised our spirits enormously. 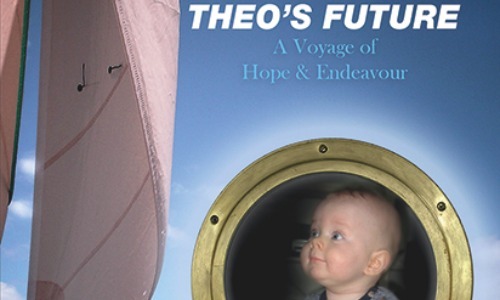 It allowed us to turn off the iron donkey and set the sails. After all that’s why we were there. 12.30 2 reefs then 1 reef then stopped engine. 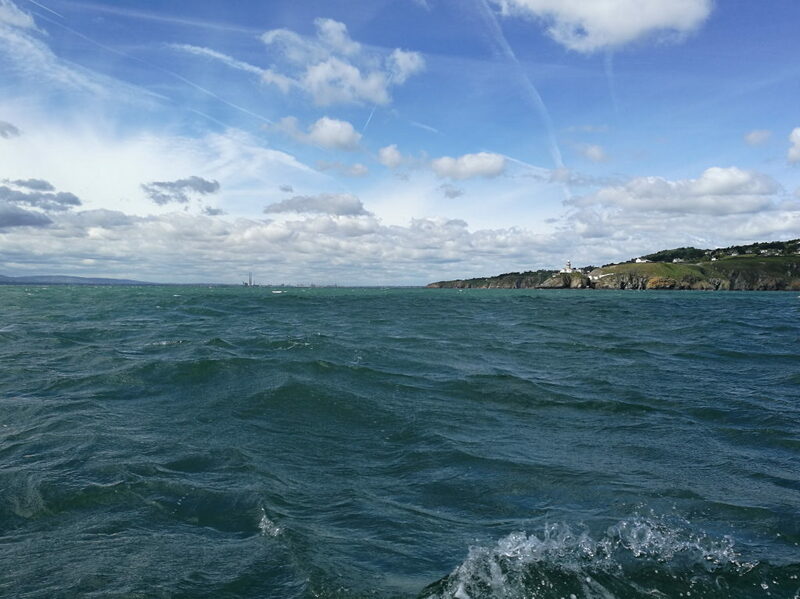 Great sail on 180 deg, max 8.7 knots with tide. 16.00 Motor sailed on 200deg to Arklow entrance. 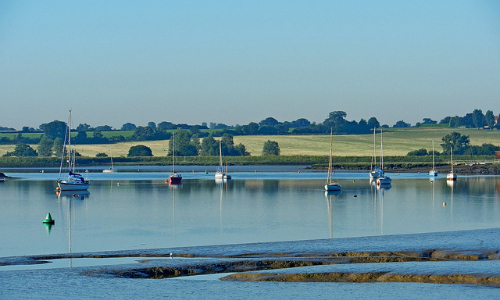 Moored on pontoons in the river. Inside the marina the water looked decidedly grubby and full. The friendly and helpful HM sorted us out with fuel and guided us to local facilities. Monday night in Arklow is not great. Although it turned out to be a pleasantly warm evening so it was off into town for a wellearned pint of Guinness and some supper. Clearly hit by the economic downturn the area was tired looking, but the people were friendly and the fish and chips well worth the walk. 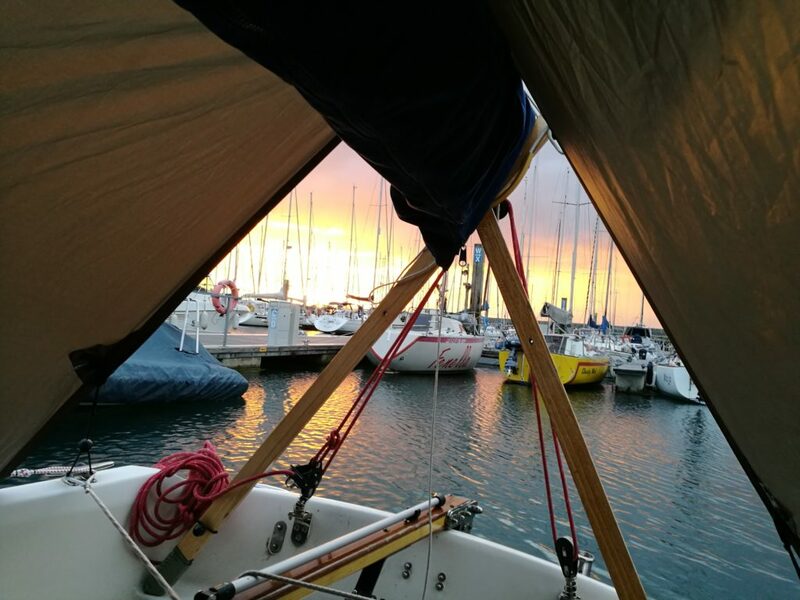 In the morning we showered, shopped, got the 5 litres of fuel from the HM and then idly checked the weather forecast….there was an opening, the wind had veered SW rather than S and was set for the next 12 hours or so. We could have stuck to the original plan and crept farther down the Irish coast to shorten the passage across the Irish Sea and back to Blighty. This would take at least a couple of days and there was no guarantee the weather would hold. In fact the mid-term weather forecast was decidedly bleak. 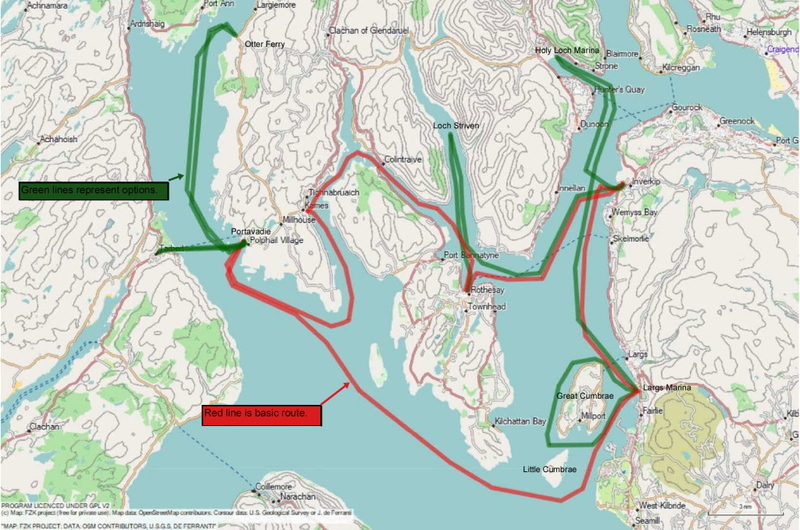 This made our decision simple…..chart check, divert port options (not that great), tidal gate approaching Milford Haven looking good. ‘Carbed up’ with four steak slices, plus cuppa soups and we were off on an overnighter to Milford Haven.